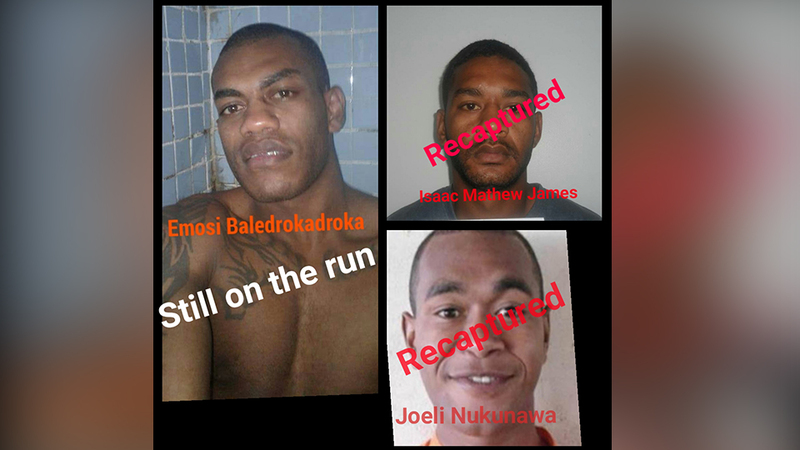 Issac Mathew James and Joeli Nukunawa who escaped from police custody this morning have been captured. Nukunawa was arrested in the last hour by the Western Division Taskforce at Vitogo, Lautoka while James was also arrested in Lautoka. The search continues for the last escapee, Emosi Baledrokadroka. The three escaped from the Lautoka Police Station after 4am, where they were kept in custody awaiting court for a case of aggravated robbery. 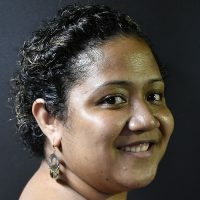 Baledrokadroka is considered to be dangerous and the public is urged to call Crimestoppers on 919 if they have information on his whereabouts. The public must remember that it is an offense to harbor escaped prisoners.